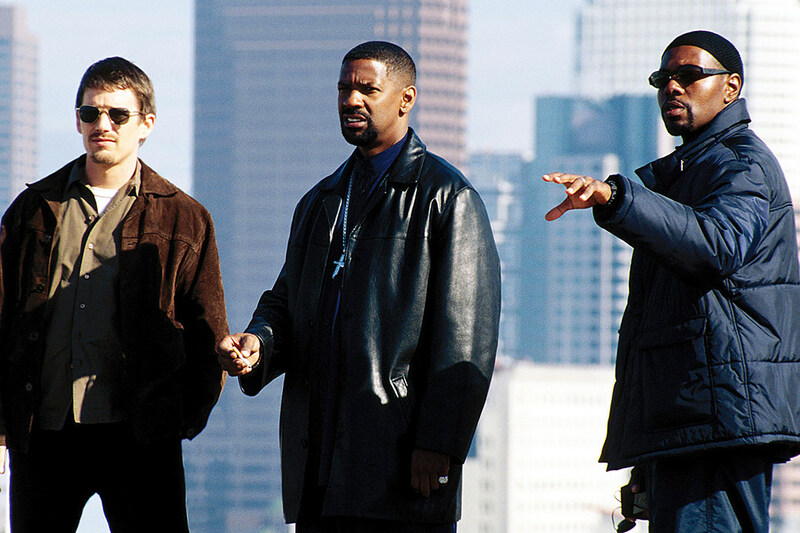 Most successful movie to TV adaptations have some foot in the original creative pool, and CBS’ upcoming Training Day series followed the trend with director Antoine Fuqua, and possibly Ethan Hawke. Sadly, Fuqua has relinquished his role as director of the pilot outing, while negotiations with Hawke fell through, but why? Is Training Day already in trouble? According to Deadline, Fuqua dropped out over a scheduling conflict with The Magnificent Seven, remaining on board as an executive producer, while Gotham vet Danny Cannon will step in to direct. Additionally, we’re told that talks to feature Ethan Hawke reprising his role as Jake Hoyt, whether as the elder, corrupt cop, or in a minor Deputy Chief role, have scuttled for now. Fuqua was to team with Jerry Bruckheimer for the pilot, alongside CSI alum Jonathan Littman, with the script itself written by actual former LAPD detective and Gangster Squad writer Will Beall. The film also notably included Daredevil star Scott Glenn, Fear The Walking Dead lead Cliff Curtis, Eva Mendes, Terry Crews, Dr. Dre, Snoop Dogg and Macy Gray. The pilot has begun casting, so check out the original Training Day trailer below, and stay tuned for updates.